Here’s a few things to share with you that I did during our break at the good ol’ Strang Institute. First is a little snippet of a pinup drawn by the amazing Denver Brubaker, creator of one of our favorite webcomics, Tales Of A Checkered Man! He asked if I would add some colors and here’s the results (at least part of them). 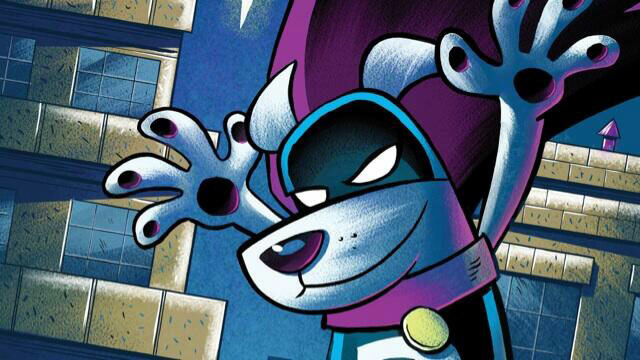 You can see the entire pinup in issue #6 of Aw Yeah Comics! 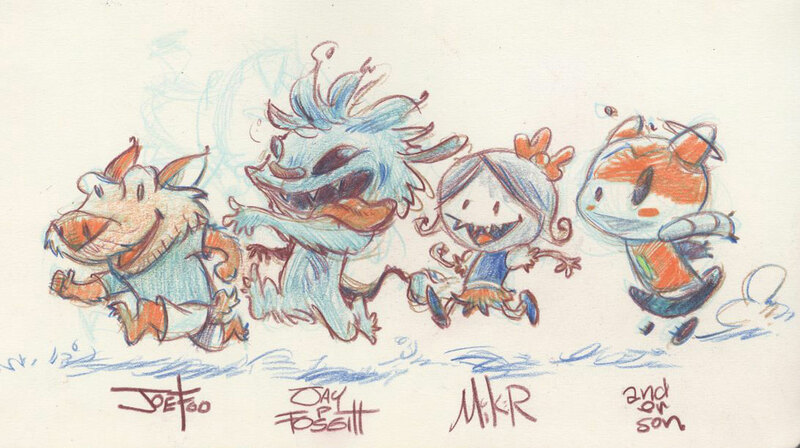 Next, I met up with some other comics creators last week for a sketch night and drew this little pic of each of our respective characters, featuring Joe Foo’s Desmond, Jay Fosgitt’s Bodie Troll, Mike Roll’s Apooka, and Ellie, of course! And then the always awesome John Martin added the incomprehensible Vordak to thwart any do-gooding our heroes might attempt! Don’t forget, Ellie returns Monday! See you then!